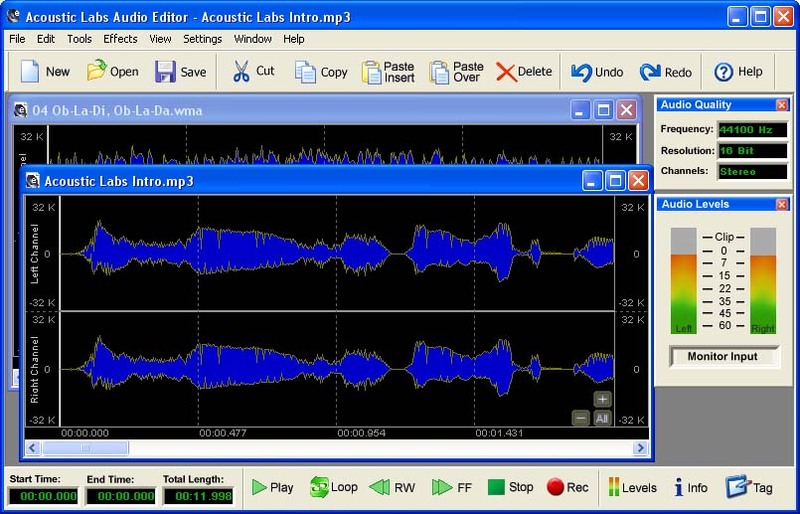 The Acoustic Labs Audio Editor is an easy-to-use, yet powerful, wave (WAV), MP3, WMA, OGG and PCM audio editor, player and recorder allowing users to open, edit, save and record audio files in any of these formats. The audio editor capabilities are perfect for creating and editing a variety of audio files and audio projects. ...... reverse and apply effects to audio. All of these features and more are included at a lower price than competing audio editor software packages. The Acoustic Labs Audio Editor can also be used as an audio converter, allowing conversions between all supported audio formats. MP3 Audio Mixer is an intuitive multi-track sound recording and mixing utility. Qweas is providing links to Acoustic Labs Audio Editor 1.4 as a courtesy, and makes no representations regarding Acoustic Labs Audio Editor or any other applications or any information related thereto. Any questions, complaints or claims regarding this application Acoustic Labs Audio Editor 1.4 must be directed to the appropriate software vendor. You may click the publisher link of Acoustic Labs Audio Editor on the top of this page to get more details about the vendor.